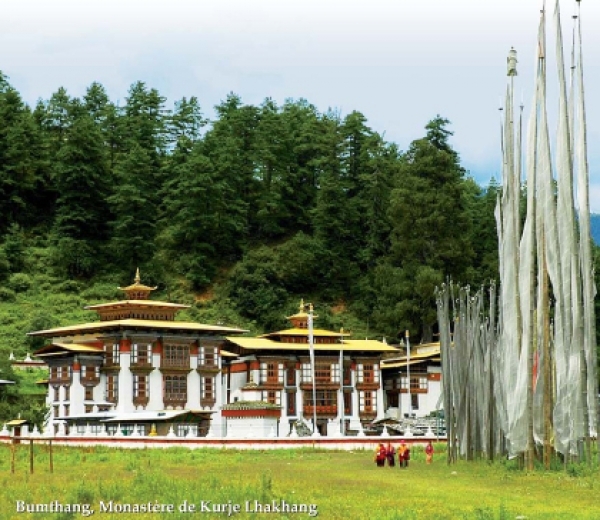 Drukpa Plouray, the European headquarters of the Drukpa lineage, is organising a pilgrimage to Bhutan and Nepal with the Venerable Drubpon Tenzin Ngawang, from August 6th to 30th this year. The Venerable Drubpön Ngawang will be visiting the London centre from Friday April 30th to Sunday May 2nd. The Venerable Drubpön Ngawang has been His Holiness The Gyalwang Drukpa's representative in Europe for over 20 years now. Those of us who have had the good fortune to meet him will already appreciate his vast understanding and experiential knowledge of the dharma, concealed behind his open and unassuming manner. He is indeed a true spiritual friend. 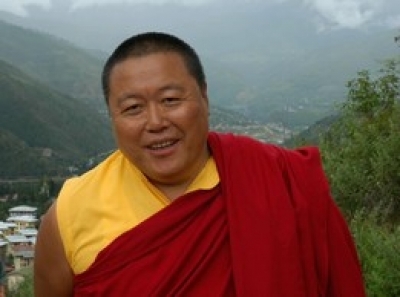 The Venerable Drubpön Ngawang will be teaching on Guru Yoga as well as leading Guru Yoga practice. Welcome to a Christmas Gathering and Fundraising Event at Drukpa Kunga Peljor Centre Primrose Hill, 1st floor, Leeder House, 6 Erskine Road, London NW3 3AJ Cream Teas, Mince Pies, Fruit Punch Christmas Raffle, Lucky Dip, and Viewing of DVD of recent Himalayan Pad Yatra (Walking Pilgrimage) Entrance : £5 with Free Raffle Ticket All proceeds going for an urgently needed new vehicle for the Drukpa Amitabha Nuns in Nepal. If you are unable to come but would still like to make a donation, please make a cheque payable to Drukpa UK, and send it to Drukpa UK, 114 Harvist Road, London NW6 6HJ. Thank you. Welcome to a Christmas Gathering and Fundraising Event at Drukpa Kunga Peljor Centre Primrose Hill, 1st floor, Leeder House, 6 Erskine Road, London NW3 3AJ on Saturday 12th December 3 - 6 pm Cream Teas, Mince Pies, Fruit Punch Christmas Raffle, Lucky Dip, and Viewing of DVD of recent Himalayan Pad Yatra (Walking Pilgrimage) Entrance : £5 with Free Raffle Ticket All proceeds going for an urgently needed new vehicle for the Drukpa Amitabha Nuns in Nepal. 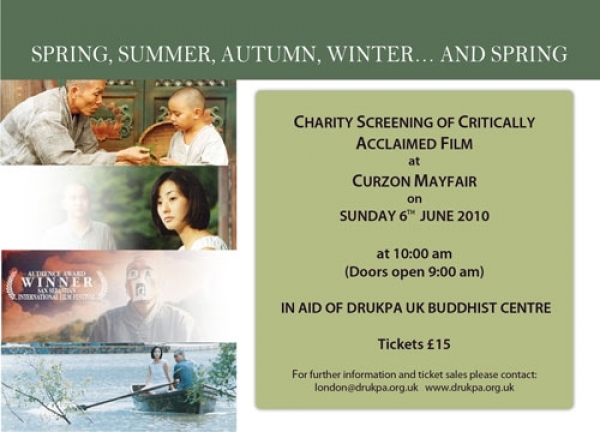 If you are unable to come but would still like to make a donation, please make a cheque payable to Drukpa UK, and send it to Drukpa UK, 114 Harvist Road, London NW6 6HJ. Thank you. Many thanks to Drubpön Ngawang for leading the group through the weekend of meditation instruction and practice. All expressed their thanks for the clarity of instruction and the opportunity to practice. Drubpön Ngawang also mentioned that he will return in November to accompany Rigzin Rinpoche who will be giving teachings in London - more details soon. You are invited to a live webcast of the "Talk Show" on an epic journey through the Himalayas featuring a special appearance by His Eminence the 9th Kyabje Khamtrul Rinpoche, broadcast from Kuala Lumpur, Malaysia on 26th August 2009. Visit the Pad Yatra website to view. Drukpa Mexico recently produced a wonderful booklet featuring the history of the Drukpa Lineage and the highlights of the ADC. You can download the pdf (in english) here [6.9MB]. (If you have difficulty viewing the pdf, right-click the link and select one of the "save as" options).